Need a band to play at your Ashburn event ? Presenting , a collective of London’s top session musicians brought together to form an incredible new band. Oxford Street take your favourite songs from the 90’s to the present day and perform them with an exciting vintage twist. Listen as three fantastic vocalists layer intricate harmonies over the classic vintage sound of the band and dance the night away. 2 x 1 Hour (or 3 x 40 Minute) sets as required. All your favourite songs from the 90’s / 2000’s and present day performed with a vintage twist. Request your favourite song to be a given a vintage make over included as standard. DJ package playing lively music before, after and in between our sets as required included as standard. The Fee includes a PA system / Lighting for the performance area and a dedicated sound engineer. 4. “We worked with Oxford Street for one of our annual event. They were a perfect fit, mixing it up with modern hits and old favourites to really get the crowd going and create the ideal atmosphere for the lunch. From their professionalism to flexibility plus sterling performance, they were an absolute pleasure to work with.” Kat Bednarczyk | Senior Business Marketing Manager, Twitter UK. LONDON VINTAGE BAND HIRE AT ITS FINEST! 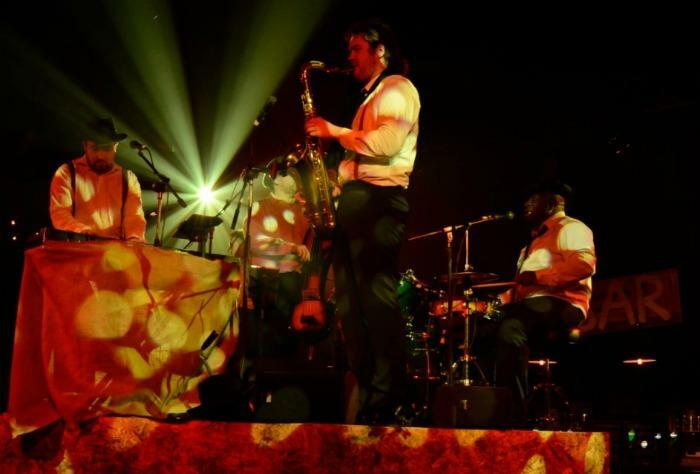 Why hire OXFORD STREET | VINTAGE BAND Band? With may years of performance experience at Weddings, wedding receptions, festivals, launch events, funerals, ceremonies, anniversaries, parties, and many other special occasions. 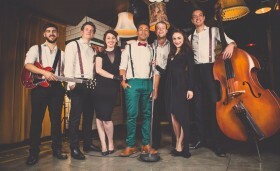 OXFORD STREET | VINTAGE BAND are an ideal act if you are looking for an affordable live band. Like all of our artists they are professional, have all the relevant insurances and are always happy to chat to you about song requests and even DJ options after the performance. Many acts can provide background music throughout a dinner or lunch as well as provide the evening up beat entertainment too. Where can we book OXFORD STREET | VINTAGE BAND? OXFORD STREET | VINTAGE BAND can be booked throughout the UK in most towns and counties within reason. Please contact us via the booking form below for further information.